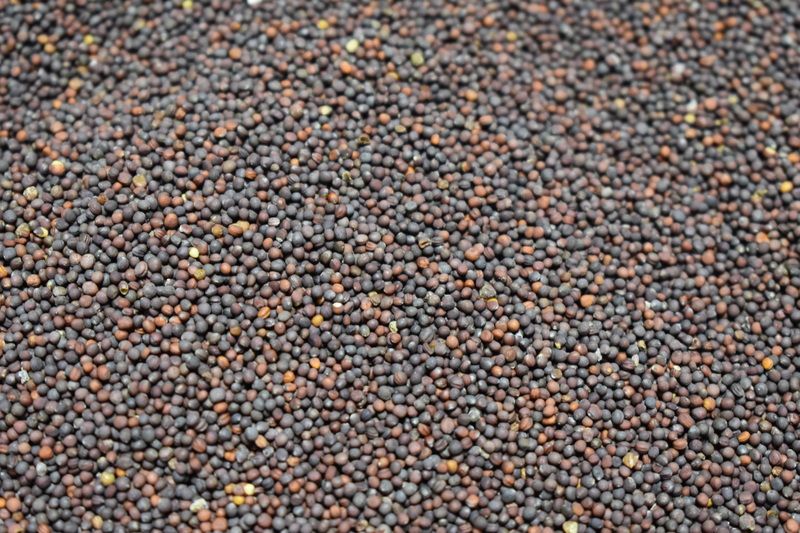 This brassica is an affordable plant to put in the ground when nutrient scavenging is wanted. Purple top turnips provide high energy and protein to cattle when grazed. This turnip can handle three days of 15°F temperatures before it finally is killed off. 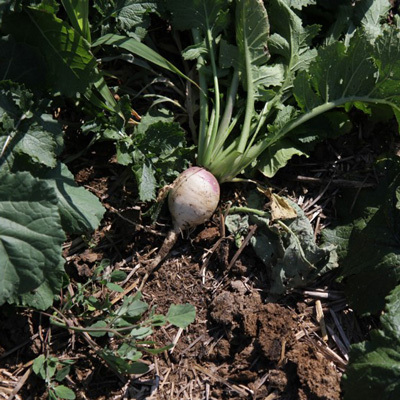 Since turnips are often put in mixes that will be grazed, it is important to note that since they are great at scavenging nitrogen and storing it in their tuber, high nitrates might be a concern if the mixture is brassica heavy or they field has a high concentration in one section of it. The top 1/3rd of the turnip will remain out of the ground, making it easier to pull and eat for livestock which could lead to some choking hazards in smaller livestock.